Everyone knows that the moment one enters politics; they will lose the immunity from attacks from all quarters. Not many used to fire at Power Star Pawan Kalyan who enjoys huge fan following till he stayed away from politics. But ever since he launched his own party Janasena and entered politics in 2014, he became the target of all the rival parties. However, political parties spared him as he did not enter the fray directly. This time he decided to contest elections and has been attacking seasoned politicians and leaders like AP CM Chandra Babu Naidu, Telangana CM KCR, YSRCP chief Jagan and PM Modi. In the midst of all this rivals unable to digest his rising stardom and popularity, started attacking him personally. Recently, a fake audio featuring a female voice, making wild allegations on Pawan Kalyan, tarnishing his image went viral. Many suspected that the audio belonged to that of Poonam Kaur, once the diehard fan of Pawan Kalyan. 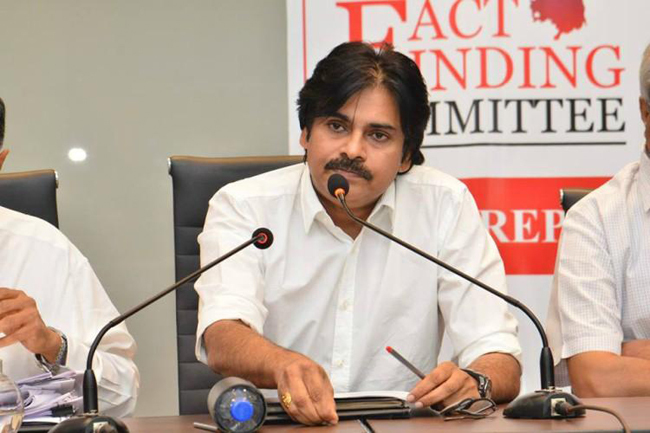 Now, rumors are spreading that in the coming days, many such audios and videos will come out against Pawan Kalyan to tarnish his image as the election date closes in. It has to be seen what will be the reaction of Pawan Kalyan, his fans and supporters of Janasena.